Rushton is now sure the June 9 fight will end via a KO, that it is going to be “dangerous in there.” Naturally, Rushton believes his fighter will get the win. So will Crawford, who will be having his 147 pound debut, live to regret taking the horse-hair gloves; the gloves where less protection is provided to the knuckles and more damage can be inflicted? 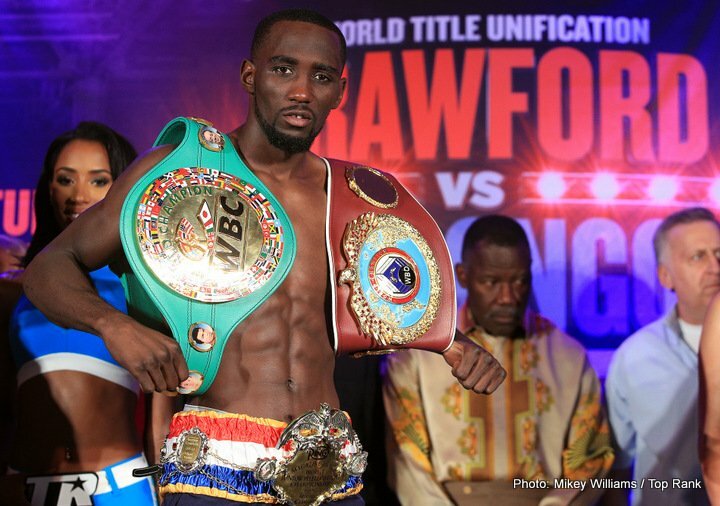 Or does Crawford, as special a talent as he is, feel he can make a statement in his welterweight debut and that with horse-hair gloves it will be he who ramps it up a touch power-wise? Is the fact that horse-hair gloves are to be used really the “game-changer” Rushton says it is, or is pound-for-pound star Crawford still a considerable favourite to get the win next month?